I know Waze has a bit of a reputation for turning obscure routes into a neighborhood headache, but even I think this is going too far. 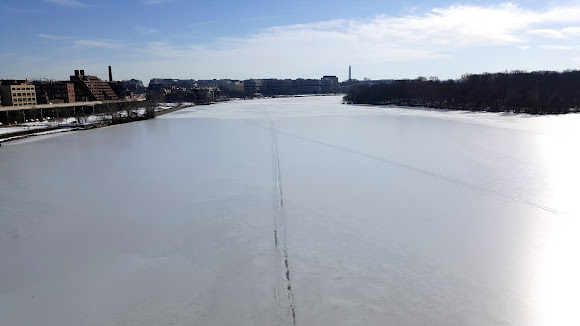 Joking aside, those do look like tire tracks on the Potomac, do they not? I snapped this photo from the Key Bridge, connecting Arlington to DC.